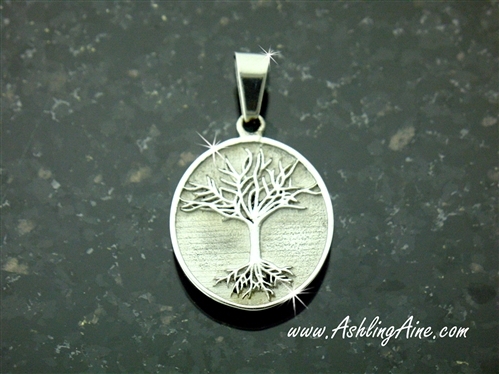 Stunning Family Tree Pendant in 316 L Stainless Steel, the perfect addition to favorite outfit. Overall length with bail is 1 3/16"
"Our family Tree," is so striking and beautiful. It represents our families and the strong roots that connect us all together. The intertwining of the branches and roots is just LIFE. It is such a reminder of how we need each other and are connected forever. It is about Tradition and honoring how our families are put together. It is inspired by our flowering Crab Apple Tree that sits at the end of our driveway. It was in the winter of 2018 when it caught my eye as it was glistening in the sun. We decided that we would make our tree into a wearable art!